Indie Retro News: Foxtail - Beautifully pixelated adventure coming 1st March via Steam! 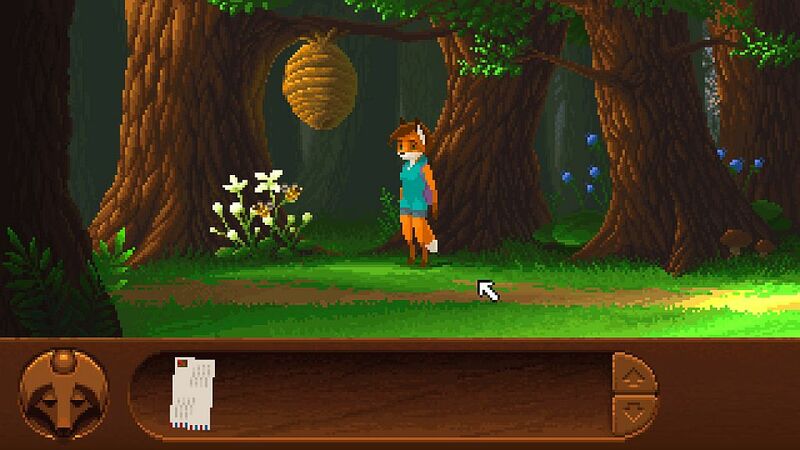 Foxtail - Beautifully pixelated adventure coming 1st March via Steam! Many of you may remember a very classic adventure title called 'Inherit the Earth', which was released way back in 1994 for platforms such as the Amiga, Mac OS and DOS. It featured anthropomorphic animals (Furries) with a great storyline, lovely fantasy detail and characters with their own personalities. But today's feature of 'Foxtail' by Gingertips is very similar in design, has lovely pixelated graphics and is going to be released tomorrow on Steam for PC, MAC and Linux.